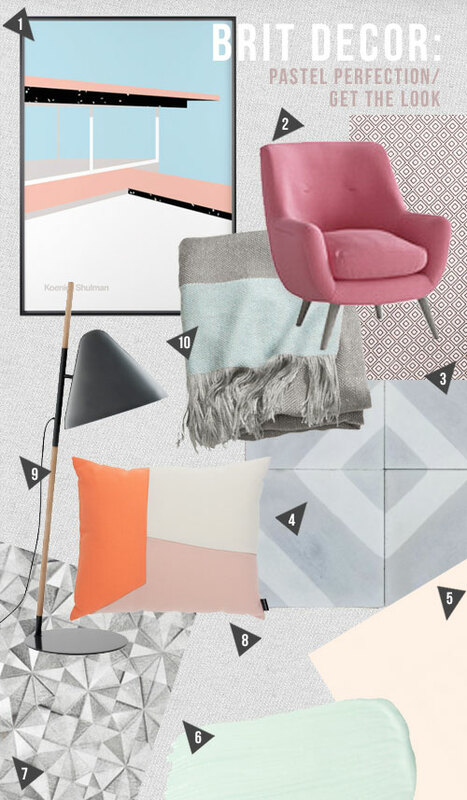 I am thrilled that pastels are still riding high on the interior waves this year - as one of my all time favourite palettes, this look is surprisingly versatile and in 2015 we can totally immerse ourselves in a candy shop selection of pastel pinks, sherbet oranges, pale mints and chalky greys - to name but a few. So today I have the perfect pastel palette in my sights! 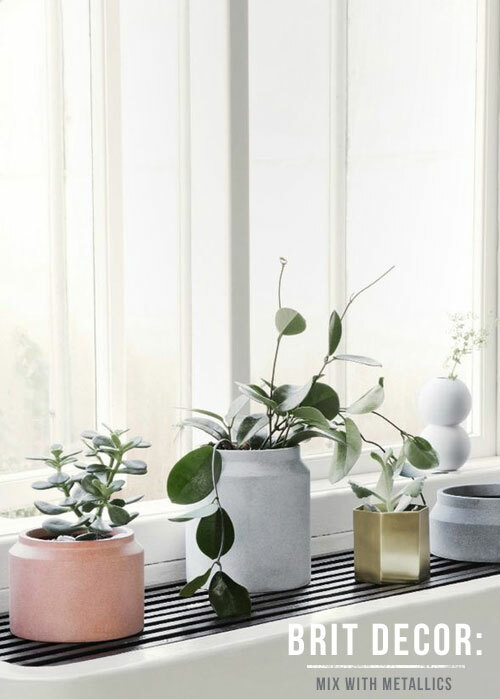 I tend to view the pastel 'look' as one of the easier styles to replicate at home, with a very simplified approach we can lap-up this soothing yet energised palette in no time at all. 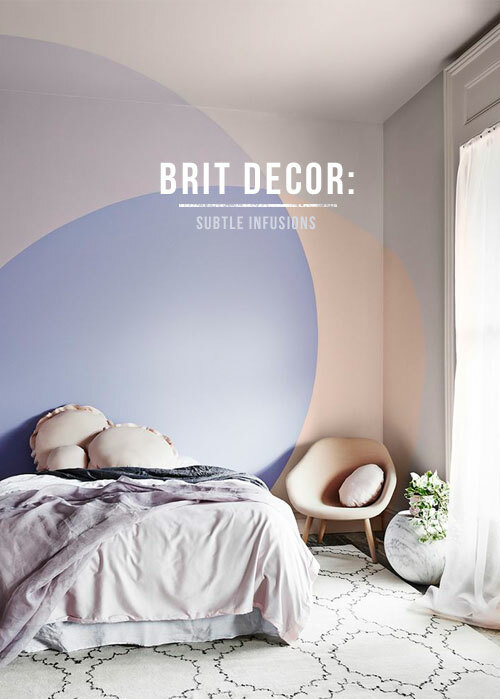 Pick a pale neutral base colour (greys work extremely well) and apply coloured pastel tones liberally, like this classic Kensington Rose pink emulsion from Mylands (no.5), paired for perfection with Mini Modern's Pale Verdigis (no.6). To add focal points to a pastel scheme, I find that incorporating pattern, especially geometrics, really hits the spot like these stunning chalky striped tiles from Bert & May (no.4 below) and the eye-catching Jasmin geometric rug from Woven Ground - for that high-contrast in textures. For added structure, I like to see the incorporation of natural woods, if only in glimpses, as a warming partner to the pastel tones. 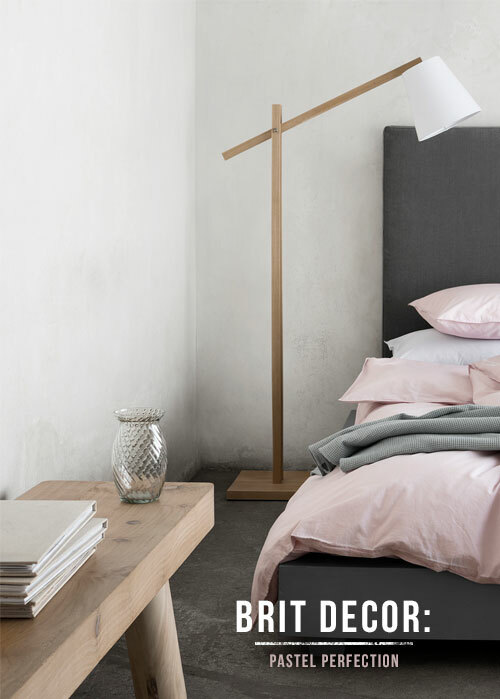 The Hello floor lamp from Normann Copenhagen (no.9) is perfect for this, whilst the darker grey ensures that this piece will not get lost in the crowd, and again, this provides a strong focal point. Moving towards the more energetic end of the pastel scale, check out the angled design of this super-sweet cushion (no.8), also from Normann Copehagen. These colours will work beautifully with the washed Peony fabric on Loaf's fab Berlin armchair - for an irresistibly fun look. In terms of artwork, black and white prints work well in this setting but your scheme will be even better rewarded if you can bag some melt-in-your-mouth pastel prints like this retro-style Koenig Shulman print from Tom Pigeon (no.1). 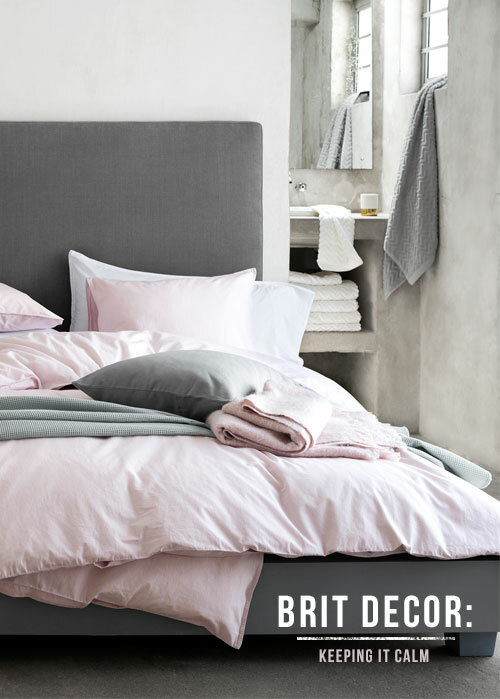 So this is how we perfect the pastel look - has it tickled your fancy?